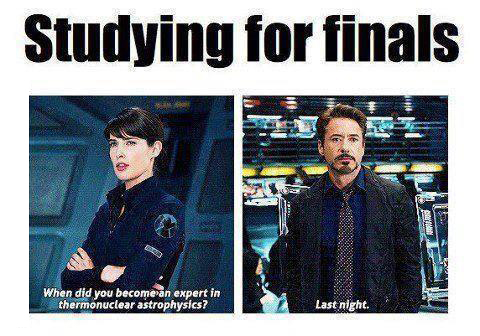 Haha I think this is like most of us when it comes to exams. Well for me at least! Overnight we become experts in whatever we're tested on the next day. It's amazing how productive you can be under pressure hahaha. And amazing how that knowledge goes right out the window the minute the clock stops O.O It's like your brain does an auto-wipe & files it under "useless". OK PAISEH BUT I OWE A FEW ADVERTORIALS. HENCE BELOW. I have quite a lot of emails to reply to as well, with get to them after my last exam! On a sidenote, I really buay tahan (cannot stand) how some people email me at night (after dinner hours) & then email me again early next morning (single digit hour) asking "got my email?" or the worst - "reply pls" (RUDE). Hello, I know I may be an individual & not a business, but assume I work office hours please T_T. This is 2013, obviously I got your email & read it & didn't consider it urgent. I can't imagine how bad blogshop owners have it. I remember the few times I sold off some of my own things on my blog I already got a lot of (-_-)" emails. I mean overall I guess I'm referring to the self-entitled mentally many people seem to have nowadays? Like they expect to get everything they want INSTANTLY. It's all about me me me me. Ok moving on to apparel reviews! I edited my pictures slightly differently this time, using a Photoshop curve I downloaded! I can never quite get the colour of all my photos the same though. Eventually I'm definitely going to buy a DSLR & get round to learning how to use it! This is the Origami Hearts Strappy Dress which normally costs $32, but get it at $25 instead by quoting "HELLOANTIESTABLISHOH"! That's a $7 discount! Valid till 13th May 2013! A more risque piece from Kylemore! ^_^ I actually took a whole bunch of pictures in this since it's a little different from the usual stuff I post. Upload next time! Peplum tops always look pretty flattering! This comes in red as well, & in sizes S M L.
They're different dresses, both from the Pop Up Shop! It literally is one, because it's likely to be a one-off sale & they might not sell anything afterwards! The owners decided to manufacture this design because they thought it was simple yet very wearable. Furthermore it gives the illusion of a slimmer waist! So which do you prefer, white or black? I like the black! And thanks everyone for joining my giveaway below! Next time maybe I'll make the steps a bit harder lol... then you can have less competition hahaha. I promise I'll be posting more! I have quite a lot of giveaways in mind but just no time. Ok back to the books! 13 comments on "Last few days!" Haha, I also saw this picture today!! I love his humour so much. What are you majoring in Sophie? And what year are you in? These are really lovely dresses! I like the first one most but you look absolutely stunning with the second one! On the other hand, the third dress gives that slimmer waist that every woman want. i have yet to watch iron man too ! wish i could i have a movie date with you. sigh.